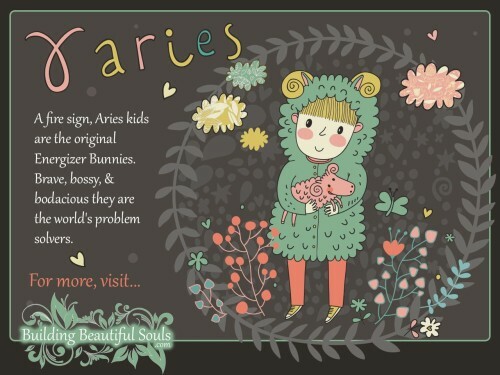 Find your child’s zodiac sign below and click on the image or title to read all about their personality, traits, and characteristics! 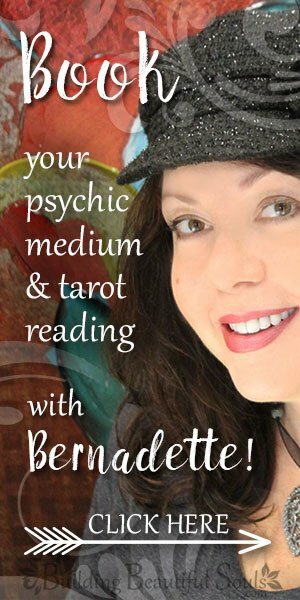 Also, scroll down or click to learn more about astrology for kids and how it can help you understand more about your baby, child, and teen! Aries is always on an adventure. This child will forever get bumps and bruises from climbing trees and other escapades. Good luck to parents who try to teach their little Ram patience and control! 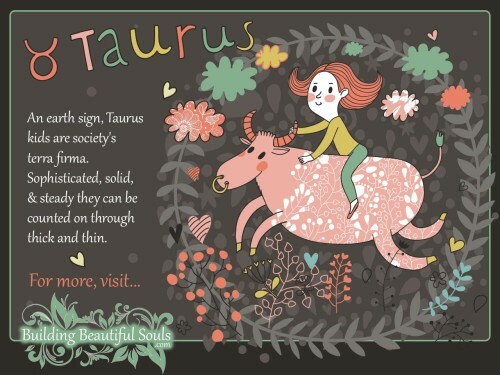 Taurus kids are reasonable and practical. They don’t take action quickly and tend to plod slowly along but will never stop working toward something they really desire. Good luck to parents who try to teach their little Bull that change can be a good thing. If you wanted Twins, one Gemini Child can fit the bill. Consummate social butterflies these kids are the original social networkers. Good luck to parents who try to teach their “Twins” to stay a course and not change their minds 9 zillion times…and that’s just before school. Don’t let the hard outside shell fool you. The Cancer Child is fragile through and through. Sensitive and psychic, these children have incredible memories. Good luck to parents who try to teach their little Crab there truly is no such thing as the boogeyman. 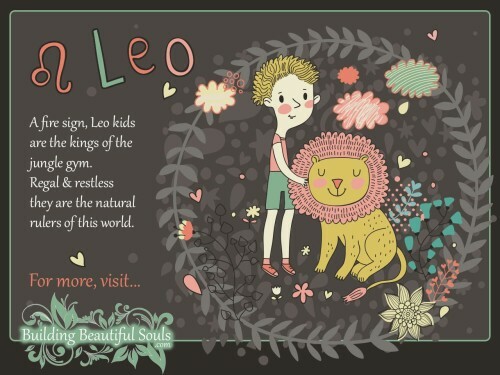 Just like the Lion who roars, Leo Children are very expressive. Every thought and action is B.I.G and they are natural born leaders. Good luck to parents who try to teach their little Lion to give someone else center stage every now and again. Meticulous doesn’t even begin to cover how the Virgo Child approaches EVERYTHING. Delicate, shy and peaceful this child really does embody all that is pure and good in human kind. Good luck to parents who try to teach their Virgin that perfection is an illusion. 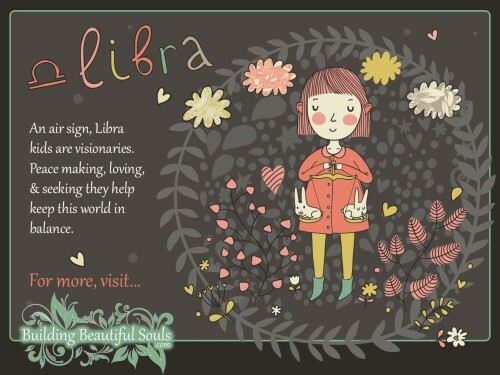 Even as a child the Libra seeks to help others. Keeping the peace between people and in all situations is one of their biggest goals. Good luck to parents who try to teach their little Scales that running away from problems will not always be for their highest and best. Intense and incredibly psychic these children are Warrior Spirits for justice. 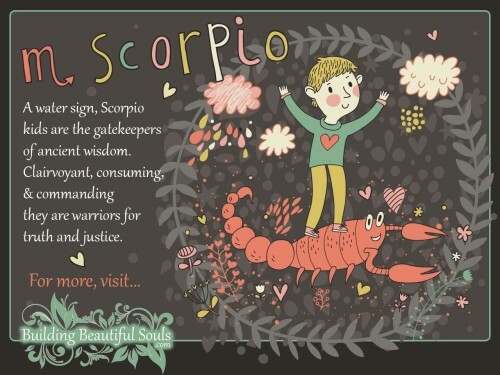 Sensual even from an early age Scorpio children are not afraid of anyone or anything. Good luck to parents who have a little Scorpion as their son or daughter – you’ve got your work cut out for you. This is the ever curious child whose observations about life can be profound. 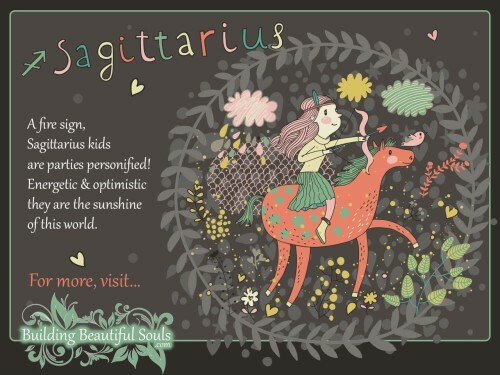 The Sagittarius Child is confident and their restless nature makes for a life full of adventure. Good luck to parents who try to teach their little Archer to be more responsible. 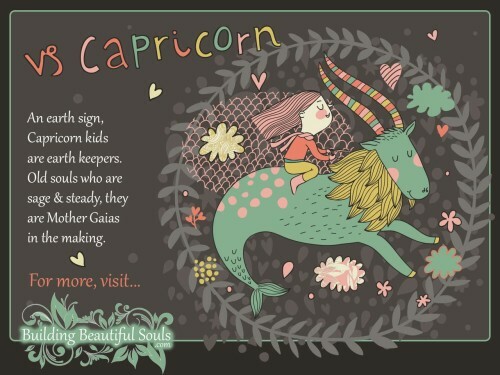 Solid, stable and practical Capricorn Children always seem far more mature than their age would imply. These kids never have to be told anything twice and will almost never get into trouble. Good luck to parents who try to teach their little Sea-Goat that even though people naturally follow their lead there is a fine line between manipulation and leadership. This is a child who seems spiritually inclined from the day they’re born. 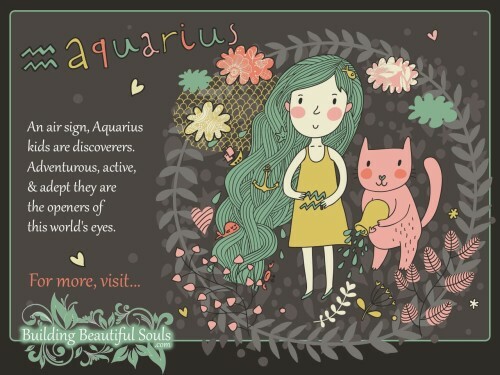 Fiercely independent Aquarius Children dance to a tune only he or she hears. Good luck to parents who try to teach their little Water Bearer there is a difference in having your own ideas and staging an out and out rebellion. These children are generous to a fault and love helping others learn, well, anything. 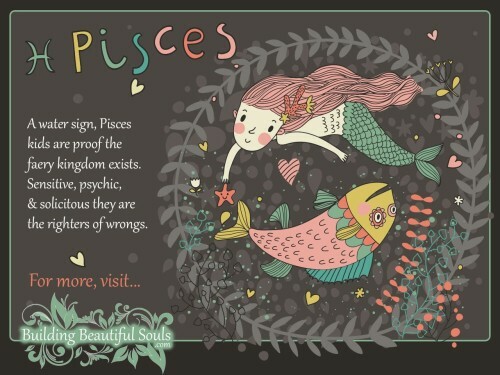 Pisces Children, though extremely sensitive, will stand firm even in the face of very frightening situations. Good luck to parents who try to teach their little Fish that they can’t always live in the fantasy world they’ve so artistically created in their heads. If the world had a nickel for every time a parent uttered, muttered or screamed this lament everyone would be millionaires! Parenting would be so much easier if there were a magical handbook that answered all our questions about our children, especially when they first arrive. What is her personality going to be like? What will he be when he grows up? How to I inspire and motivate my child? 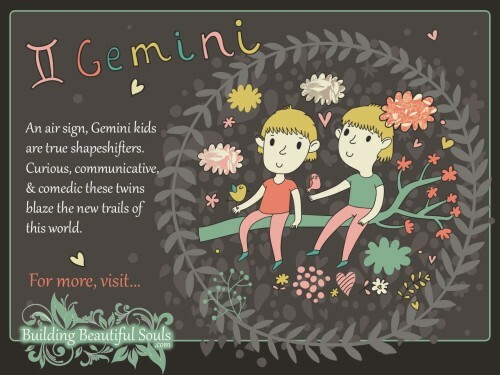 Astrology certainly isn’t the end-all and be-all for those types of questions, however having an Astrological Chart made and interpreted as well as understanding your child’s Zodiac Sign is an excellent place to start. 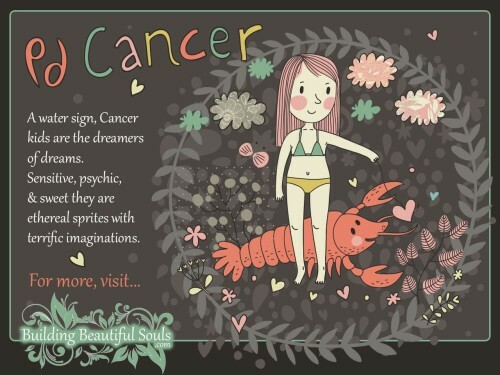 Astrology for children is based on the same principles that govern adult signs, namely that a child’s overall soul plan is somehow written in the stars like a map that we can use as a guide if we know how to read it. Certainly, there are many other factors that influence a child’s life such as their environment and schooling, this is simply one extra stimulus you can use to see what may help your child the most, or what stumbling blocks he or she may face. Light Workers also counsel that like a puzzle, use Astrology as but one part of a greater parenting plan. Nothing can replace your inner voice and higher self in the nurturing process. All you’re doing here is adding to that valuable instinct. It is true that Astrology is a kind of divination system. As such it has its limits. An individual, even at young ages, is always the master of his or her fate. So what‘s included in a child’s chart? Lots of things. 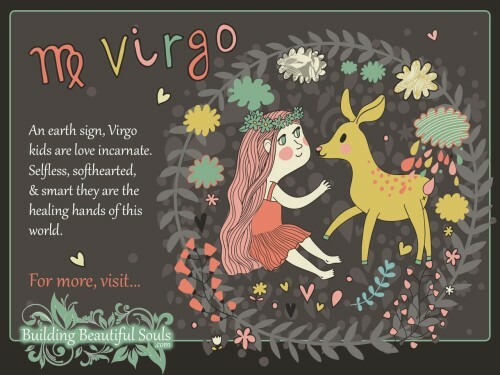 Usually an Astrologer begins by looking to the Rising Sign at the time of the child’s birth. According to tradition, this sign tells us how others will interpret your child’s behavior and actions. It’s tied heavily to early childhood experiences and the karmic vibrations that shapes your son or daughter’s future. As the first house the planets here influence a child’s perception of self too. As life goes on, the influence of this house grows. For example, a child with Mars in the first house is very sturdy. Many grow up involved in sports and even seek out careers . Think of the first house like the core in the body that becomes your child’s personality. Your child’s natal chart will include the positions of the planets, sun and moon at the time of your birth. This shows you how the sky looked from where you gave birth at the child’s birth moment. Each of the planets has a different function in your child’s chart. As an illustration, the sun rules self –identity and your child’s way of interacting with his or her father figure. Mercury regulates communication and ideas, and Jupiter oversees general ethics. This is very interesting Article and it is very beneficial for me. I have read about my sign and compile good point and work on that. Right now I have the good story for people. 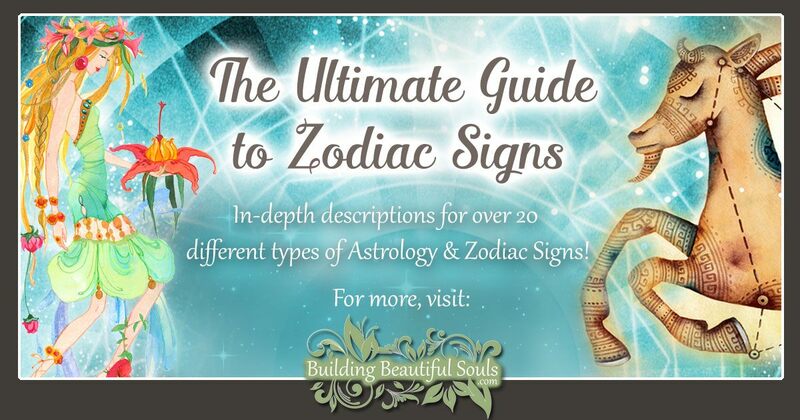 they can read through this link – Aquarius Zodiac Signs. I am sure this article is also helpful for people. In this Article, I have written all about my story.